Happy November! This hectic week has reminded us to not take anything for granted and to appreciate the little things in life. We want to send our love and good thoughts to those affected by Hurricane Sandy. While weathering the storm, we stumbled upon some lovely links and hope you like them as much as we did! Warm up with this roasted tomato basil soup recipe. A homemade chai tea recipe to make this weekend. Illuminate the night with this DIY glowing lantern project. 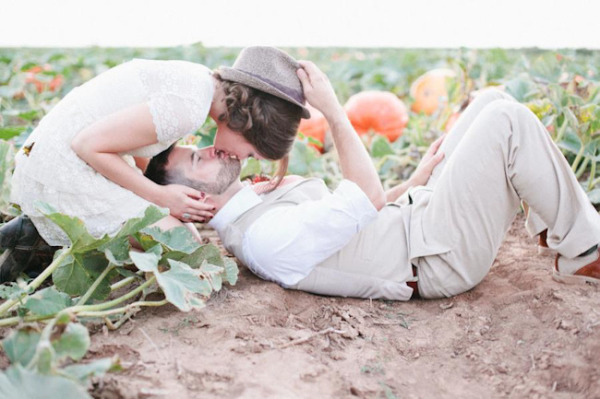 This woodsy wedding is filled with pumpkin prettiness. Every Christmas package needs these adorable printables. Inspired by this white-washed wood mood board. Fashion inspiration for a fall engagement session. This winter DIY is our favorite pin of the week. And just a friendly reminder to turn back your clocks this weekend. Anyone else excited to get an extra hour of sleep? !